London Has Fallen has a new trailer for you all to admire. It’s full of everything you would expect. Explosions, gunfire and lots of CGI destruction. Will the US President go the same way as other world leaders? Only time will tell. A new poster is also available. This one shows the destruction of the British way of life. I maybe reading a little too much into the symbolism. On the other hand, it should do well in countries that don’t like the UK. Finally, we have also been sent over two new images for the film. They don’t show much compared to everything else but then again, images don’t normally show much anyway! 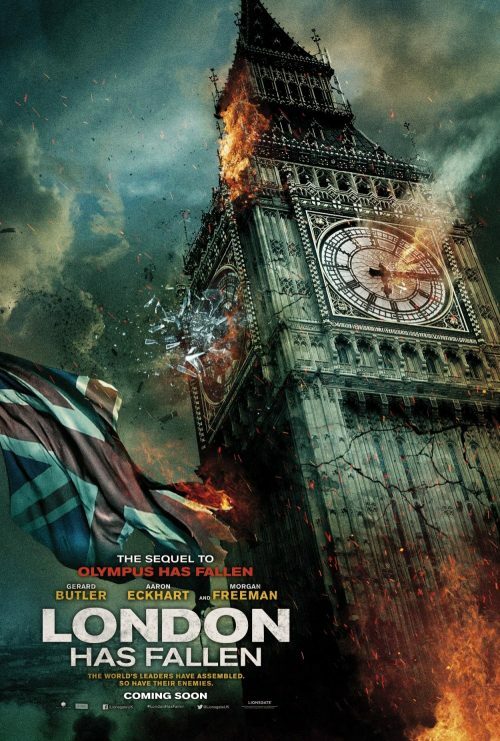 The sequel to the worldwide smash hit Olympus Has Fallen begins in London, where the British Prime Minister has passed away under mysterious circumstances. His funeral is a must-attend event for leaders of the western world. But what starts out as the most protected event on earth, turns into a deadly plot to kill the world’s most powerful leaders, devastate every known landmark in the British capital, and unleash a terrifying vision of the future. Only three people have any hope of stopping it: the President of the United States, his formidable secret service head, and an English MI-6 agent who rightly trusts no one.